RICO'S&【おうち marche'】 // Merry Christmas ! 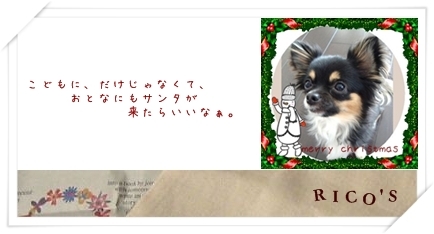 2010/12/18 (Sat) Merry Christmas ! Copyright © RICO'S&【おうち marche'】. all rights reserved.